Blue Bridge lending programs ​assist underserved and ​specialized industries with funding that is often difficult to get through traditional lenders. We offer our hotel owners and operators unparalleled services and hospitality industry experience. Our ​loan ​programs can be customized to fit your needs,​ and ​any furniture, fixture or equipment purchases are eligible ​for financing​. Blue Bridge lending programs ​assist underserved and ​specialized industries with funding that is often difficult to get through traditional lenders. We offer our hotel owners and operators unparalleled services and hospitality industry experience. Our ​loan ​programs can be customized to fit your needs,​ and ​any furniture, fixtures or equipment purchases are eligible ​for financing​. 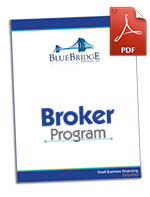 Hotel property owners have a greater success rate with Blue Bridge Financial. Apply online in less than 3 minutes. Or call 813-324-1200 to speak to a customer care rep. Receive your decision in 4 hours or less. Get funding. We’ll pay your vendor directly, so your order arrives ASAP.